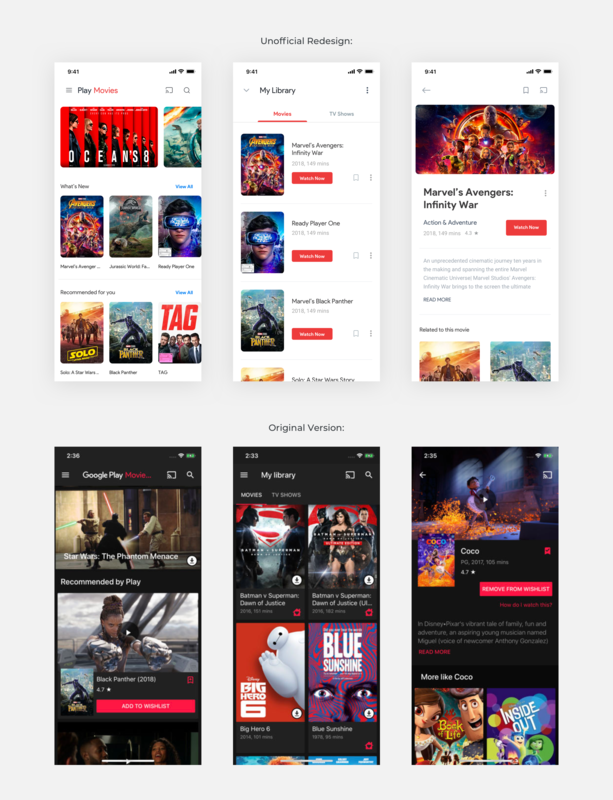 Brief: To redesign the Google Play Movies mobile app with the latest material design guidelines. Here’s another one from Google’s new Material Design series. Google’s new Material design guidelines are so sick, that it makes me visualize all of their apps in this new style. Too bad Google hasn’t updated all of them yet, but this has given me an opportunity to try that out! I, of course, do not have access to any insider information, nor do I know the status, roadmap of the product. All of the redesigns are based on what Google has done with their material 2.0 on the few apps that are released so far. 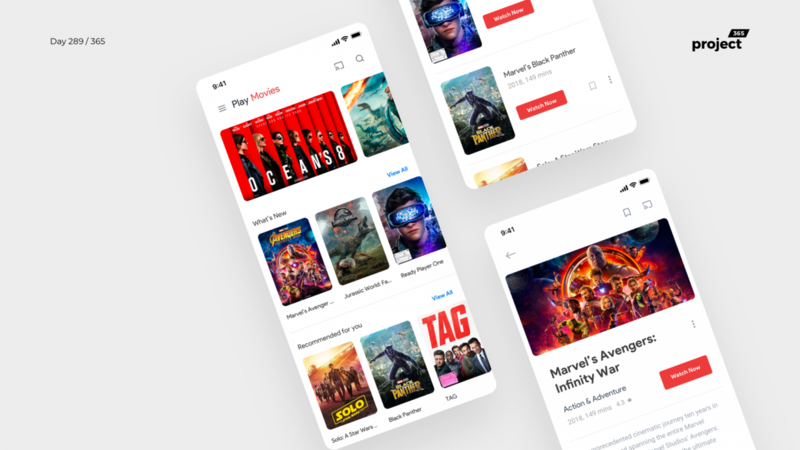 This is the Play Movies mobile app.